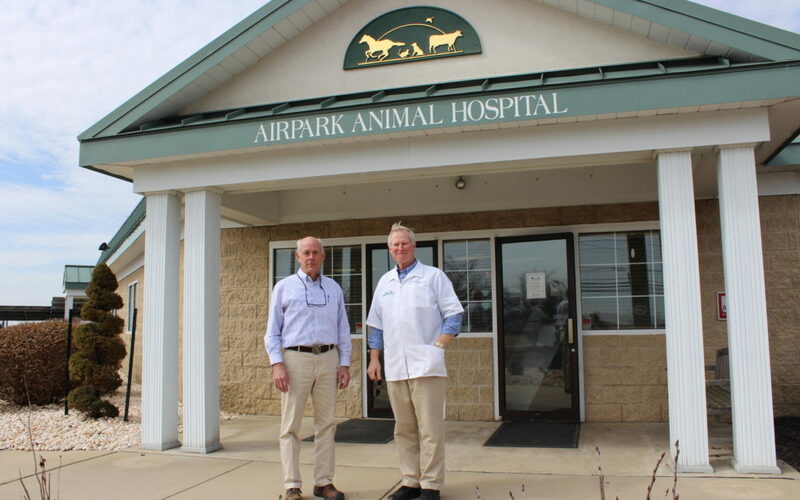 Westminster, Carroll County, Maryland; March 14, 2019 – – – -On March 13, 2019, the owners (Dr. Kable and Dr. Herrick) and employees from the Airpark Animal Hospital presented a $2000 donation to the Community Foundation of Carroll County (Friends of the Carroll County Sheriff’s Office) to benefit the Carroll County Sheriff’s Office K-9 program. The Airpark Animal Hospital accepted their customers pet photos and created and sold pet calendars to raise money to donate to the Sheriff’s Office K-9 program. Sheriff James T. DeWees and members of the Carroll County Sheriff’s Office K-9 unit were present in appreciation of the generous donation. Anyone interested in donating to the Carroll County Sheriff’s Office K-9 program may donate through the Community Foundation of Carroll County, Inc. (Friends of the Carroll County Sheriff’s Office). Checks should be made payable to Community Foundation of Carroll County, Inc. and may be mailed to 100 N. Court Street Westminster, MD 21157. Please write “Friends of the CCSO for K-9” in the memo line on the check.